Between January and September last year, a total foreign exchange inflow of $40.93bn was recorded by the Central Bank of Nigeria. The inflow of $40.93bn, when compared with the $27.95bn recorded in the first nine months of 2017, represents an increase of $12.98bn. An analysis of the third quarter economic report of the CBN showed that about $14.15bn passed through the apex bank in the first quarter of last year. 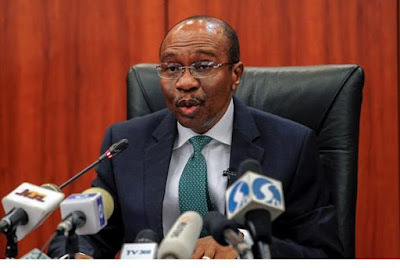 In the second quarter of last year, the CBN recorded foreign exchange inflow of $13.82bn, while the sum of $12.95bn was recorded during the third quarter of 2018. The report stated that despite the decline in domestic crude oil production, there was an improvement in foreign exchange revenue from oil export in the third quarter of 2018. This, it stated was on account of the favourable international price of crude oil. It added that the development was, however, moderated by the significant decline in inflow from non-oil exports. It read in part, “Aggregate foreign exchange inflow through the CBN amounted to $12.95bn, indicating a 6.3 per cent decline below the level at end-June 2018. “It, however, showed an increase of 8.1 per cent, over the level in the corresponding period of 2017. In terms of outflow, further analysis of the report showed that $9.65bn left the apex bank in the first quarter. The figure rose by $3.64bn to $13.29bn in the second quarter, before reaching $16.93bn during the third quarter of last year. The apex bank attributed the increase in outflow relative to the preceding quarter to a 32.2 per cent and 28 per cent increase in public sector payments and interventions in the foreign exchange market. Overall, a net outflow of $3.98bn was recorded through the bank in the third quarter, compared with $530m and $2.64bn in the second quarter of 2018 and the corresponding period of 2017. Finance and economic experts, who spoke on the foreign exchange inflow, explained that the demand management policy of the Federal Government was responsible for the inflows. They, however, said while the current administration had made remarkable progress in the area of reducing inflation and increasing external reserves, there was a need to intensify its economic diversification programme. For instance, a Professor of Finance and Head, Banking and Finance Department, Nasarawa State University, Uche Uwaleke, said, “The introduction of the Investors and Exporters’ window, on the back of crude oil price recovery, has equally helped stabilise the exchange rate facilitating raw materials imports for local firms. “That said, the CBN should continue to explore innovative ways to support domestic industries beyond the use of forex policies. “There is no doubt that the CBN’s forex policies have helped the growth of local industries in Nigeria. Notable among these are the restrictions to access official forex placed on 42 imported items. “This measure was not only in support of the Federal Government’s import substitution strategy, but it was also a demand- management strategy which helped to conserve scarce forex especially during the period of oil price slump. He said to strengthen the exchange rate between the Naira and the Dollar, there was a need for well-coordinated fiscal policies to pursue import substitution and enhance the competitiveness of local production with a view to curtailing foreign exchange demand.